The Warlocks have been working hard during Week 1 to decide what functions we want our robot to have. Our build team has also been busy in the shop building prototypes to help make these decisions. After the prototypes were shown to the team, we began to formulate ways to incorporate them into our robot plans. 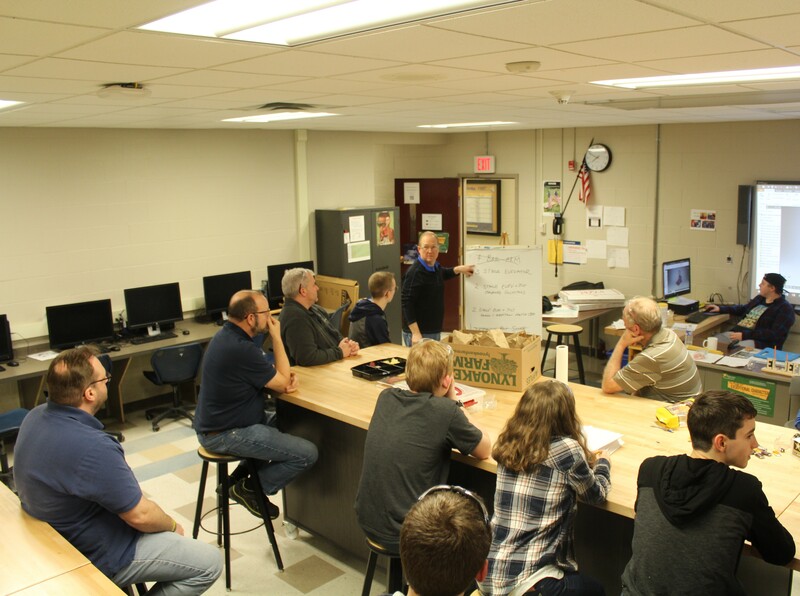 As the build season continues into Week 2, the CAD team will work to have the drawings completed so they can pass off design plans to the build team. Every day we get closer and closer to having our 2019 competition robot completed. Starting in Week 2 and continuing throughout the build season, the Warlocks will be highlighting a new sub-team and its members. Every week’s update will highlight a different team until the end of build season, when we will talk about our adventures through the build season as we prepare to compete in the Finger Lakes Regional and the Buckeye Regional. We look forward to the next 5 weeks of build season and the competition that we will face at our regionals. We wish all teams the best of luck as they begin to build their robots for the season. We’ll see you all at the competitions!